The Novice ‘B’ County Championships will take place in Ballingarry this Sunday, the 25th of March. The event will start at 12 pm, with the ladies running 3km and the men running 6k. The event is confined to athletes who completed the “A” Championships with the first eight men and the first five ladies in those championships excluded as well as previous individual winners, both male & female. 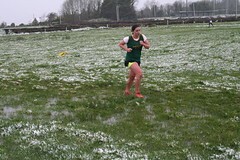 Moyne AC are defending champions in both the women and men events. Good luck to all athletes taking part.